District implements processes for identifying, recruiting, selecting, placing, supporting, evaluating, and retaining effective principals. School leaders have an impact on student achievement (Bryk et al., 2010). School leadership is second only to teaching in its influence on student learning (Leithwood et al., 2004). Novice teachers cite lack of professional and administrative support as a primary reason for leaving the profession (Headden, 2014). High principal turnover has been linked to low student achievement and is common in high-need, hard-to-staff schools (Headden, 2014). 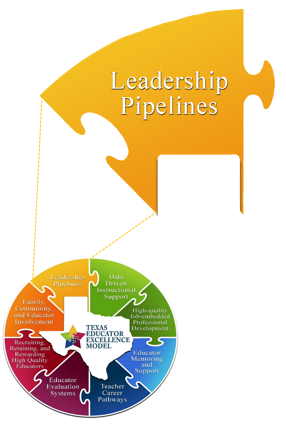 Support the development of leadership pipelines for districts who want talent-ready individuals prepared to move into leadership roles. Guide and assist in the development of effective programs or learning opportunities to prepare future leaders. 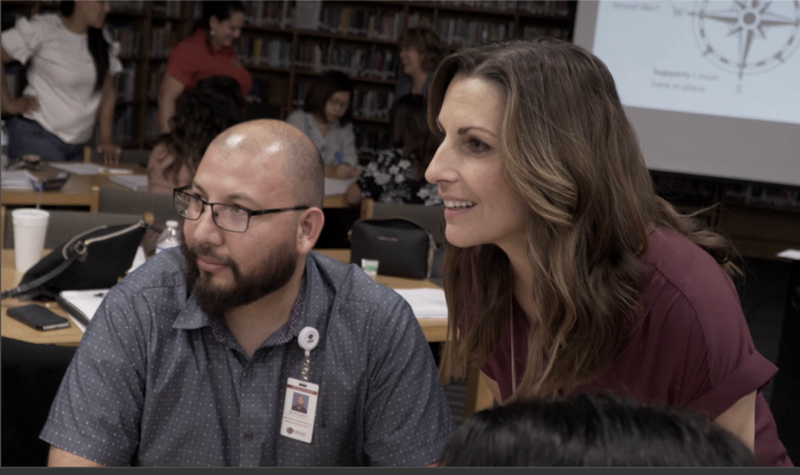 Introduce one or more components of our Texas Principal Residency Program (TxPRP) to provide intensive, job-embedded training and support for novice principals.